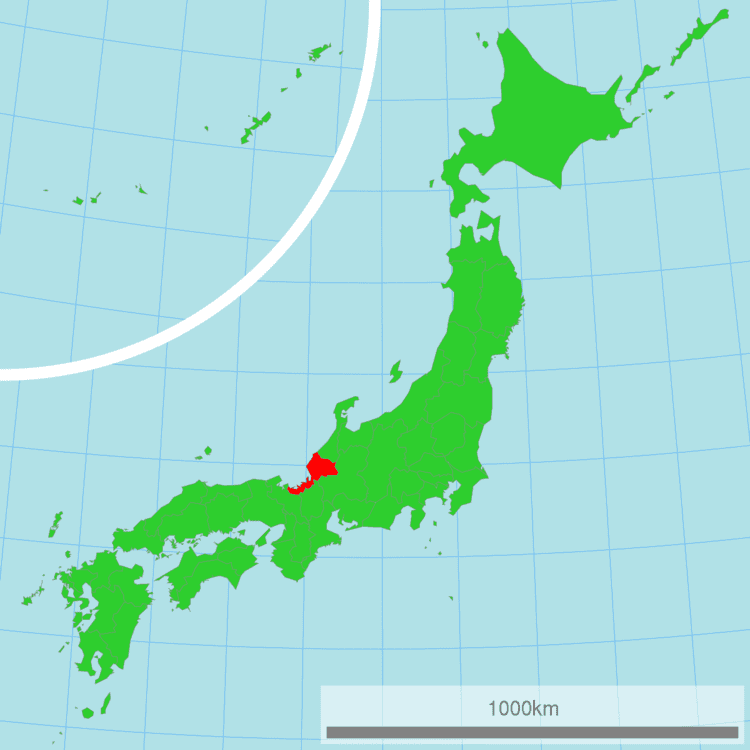 Fukui Prefecture (福井県, Fukui-ken) is a prefecture of Japan located in the Chūbu region on Honshū island. The capital is the city of Fukui. The Kitadani Dinosaur Quarry, on the Sugiyama River within the city limits of Katsuyama, has yielded animals such as the megaraptoran Fukuiraptor kitadaniensis, hadrosauroid Fukuisaurus tetoriensis, coelurosaurian Fukuivenator paradoxus and titanosauriform Fukuititan nipponensis as well as an unnamed dromaeosaurid. Fukui originally consisted of the old provinces of Wakasa and Echizen, before the prefecture was formed in 1871. During the Edo period, the daimyō of the region was surnamed Matsudaira, and was a descendant of Tokugawa Ieyasu. During World War II, the city was heavily bombed and its palace, surrounded by a moat, was demolished. The Fukui Prefectural government buildings were built on the site. Fukui faces the Sea of Japan, and has a western part (formerly Wakasa) which is a narrow plain between the mountains and the sea, and a larger eastern part (formerly Echizen) with wider plains including the capital and most of the population. The province lays within Japan's "Snow country". As of 31 March 2008, 15% of the total land area of the prefecture was designated as Natural Parks, namely the Hakusan National Park; Echizen-Kaga Kaigan and Wakasa Wan Quasi-National Parks; and Okuetsu Kōgen Prefectural Natural Park. Sabae is known for producing 90% of Japan's domestically-made glasses. 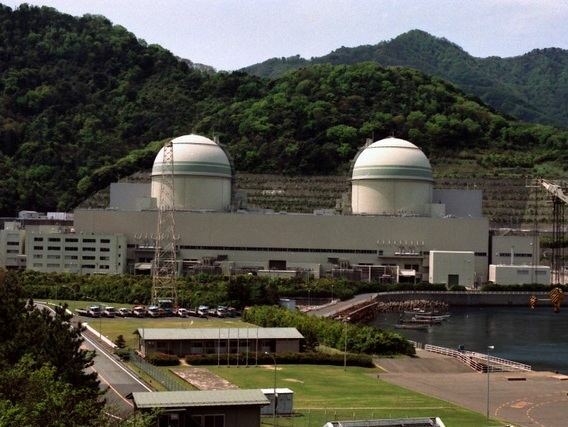 There are several nuclear power plants located along Wakasa Bay in Tsuruga which supply power to the Keihanshin metropolitan region. 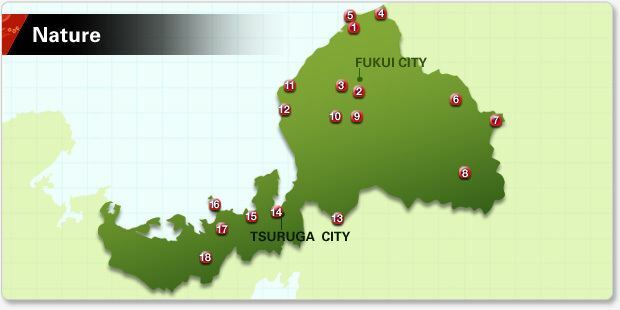 It has 14 reactors, the most of any prefecture. Fukui is one of the less populated prefectures of Japan; in September 2015 there were an estimated 785,508 people living in 281,394 households. As seen in most of Japan, Fukui is facing the problem of both an aging and decreasing population; 28.6% of the population were over the age of 65 in July 2015 and the population has decreased 2.6% from the 806,000 measured in the October 2010 national census. Ichijōdani Asakura Family Historic Ruins is one of the most important cultural heritage sites in Japan. Eihei-ji is a serene temple offering training and education to Buddhist monks. Founded by Dogen Zenji in 1244, Eiheiji is located on a plot of land covering about 33 hectares. Myōtsū-ji's Three-storied Pagoda and Main Hall are National Treasures of Japan. Fukui is home to Maruoka Castle, the oldest standing castle in Japan. It was built in 1576. 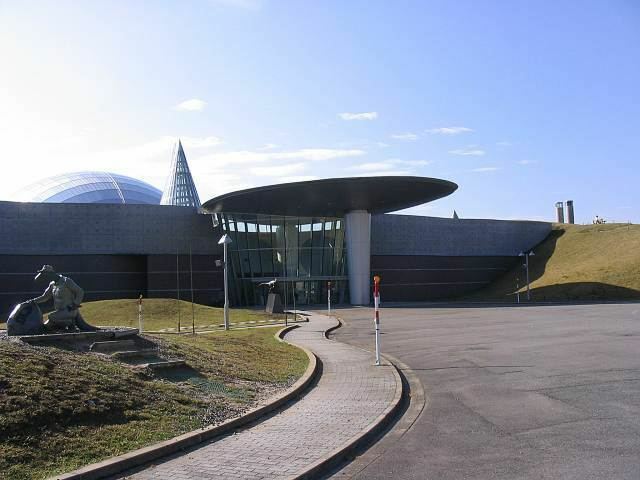 Many dinosaur fossils have been excavated in Fukui and they can been seen at the Fukui Prefectural Dinosaur Museum. Residents of Fukui Prefecture have a distinctive accent, Fukui-ben. Fukui has long been a center for papermaking in Japan (along with Kyoto). Its Echizen Papermaking Cooperative is a world-famous collection of papermakers making paper in the traditional Echizen style. Fukui is also renowned for its clean water and crops, which result in delicious sake, rice, and soba noodles. In August 2010 Fukui launched its own dating website entitled Fukui Marriage-Hunting Café in hopes of helping the declining population growth of Japan increase. Couples who meet in the site and continue on to marry receive monetary aid from the government as well as gifts. Tōjinbō, a scenic piece of coastline, which is also a notorious spot for suicide. Echizen crabs are a local delicacy available year-round, though the crabbing season is during the winter. Another traditional sea-side Fukui dish is genge, a small guppy-like fish that when eaten raw as sashimi, gives the body a brief tingling sensation. Awara is a famous onsen in the north of the prefecture.